Much has been said and done about Assembly Bill 325, where the attorneys in the Nevada Legislature, with the help of several outside attorneys, socialist organizations and communist groups pretending to be community oriented of our society, are supporting Assembly Bill 325. The bill, AB325, supposedly would throw out most of Nevada’s current laws on bail and would require courts to release nearly all individuals awaiting trial eligible for bail under the “least restrictive conditions” necessary for the person to show back up to court and ensure the safety of the community, but it may not be true. As it is today, a person goes to court for whatever reason, the judge sets bail at $5,000.00 cash or bail and the defendant’s family or friend goes to Clark County Detention Center to post the bail, but if they do not have the whole $5,000.00, the officer at the desk will not take ten, fifteen or any other percentage of that five grand; they only take the whole amount set by the judge. Instead, the next person goes to the bail bondsman and places the fifteen percent or sometimes even less to get the family member out of jail the same day so the defendant can go back to work and earn money to keep food on the table for the family, pay the rent or mortgage, or keep the car payments up to date. Assembly Bill 325 was created, prepared and worded by attorneys, very wise attorneys, indeed, who knew how to phrase the Bill in a way that looks and sounds good in the eyes of those who heard the Bill, but it is important to realize that the public, the constituents DO NOT vote on Bills presented in the Legislature and when politicians and attorneys are “mixed” together, the only victims in that “cocktail” are the constituents, the people who live in the community, the same people that put those assembly-persons and senators in those seats from where they could destroy their life and their future. Assembly Bill 325 was created with what the state, county, and municipal governments, including the Las Vegas Metropolitan Police Department, had in mind for many years, going back even thirty years, eliminating the bail bonds business, obviously not with the benefit of the community in mind. It may be a little too late to stop Assembly Bill 325 in the assembly, but it cannot pass if it is not approved in the State Senate and every member of this community should be talking to their senator to make sure that they vote against Assembly Bill 325 when it gets to the Senate floor. Is it not the way it is now, and always has been? Bail setting has always been left to the discretion of the presiding judge; in many cases the judge may consider that the defendant is not a risk to the community and that the defendant is not going to jump bail and may allow the defendant’s release with no bail, in most cases, if not all, against the wishes of the prosecutor. There is already a bail setting for different charges: driving under the influence is so much money, home invasion is so much, vehicular manslaughter is so much and every other charge has a set amount; if the judge does not like how the defendant thanks him, he is allowed to forfeit the bail, if the judge feels that the defendant will commit another crime after he or she is released from prison the judge could double the bail in case the defendant could or may decide to commit another crime after the ten, fifteen or twenty years he has already served. We believe that there is no need for the attorneys in the assembly to create new laws that mimic laws that already exist and that the public, as well as the police, judges, prosecutors, and defense attorneys are already familiar with. Defense attorneys should not consider the bail bonds as taking money out of their pockets; there is enough money for everyone in the pie of justice. 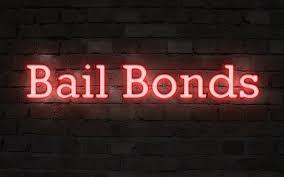 In fact, some attorneys should remember that many bail bond companies have contributed to their campaign coffers in their first run for the assembly and not bite the hand that feeds them. We have always insisted that residents in Nevada should take elections seriously and get involved in the election process so the attorneys in the Nevada Assembly do not take advantage of the community that elects them to serve in that forum.